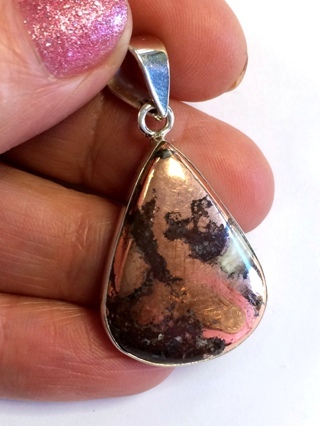 A light-catching silver pendant holding a polished piece of Native Copper. The metal copper gives rise to so many wonderful blue/green minerals, and is prized in its own right for its orange colour, intrecate natural formations and healing properties. Key Healing Properties: called 'the metal of the Magician', copper's conductive qualities associate it with forming links within oneself and to other planes. 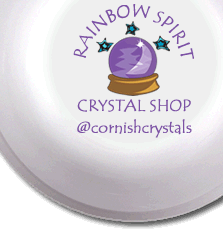 Earth magic and respect; red blood cell formation, injury repair/recovery after surgery; vitality.